In the Kherson region a motor rally and a march to the Day of the Crimean Tatar flag were held on June 26. The convoy with the Crimean Tatar flags arrived in Novooleksiivka settlement, which is close to the administrative border with the occupied Crimean peninsula, where Ukrainian and Crimean Tatar flags were solemnly unfolded. Participants marched through the central streets of the village. The well-known Crimean Tatar drummers from the village of Schastlivtseve headed the procession. The march culminated at the House of Culture with a festive concert and demonstration performances and competitions on the Crimean Tatar national wrestling Kuresh. In the evening in Kherson a bike rally was planed. 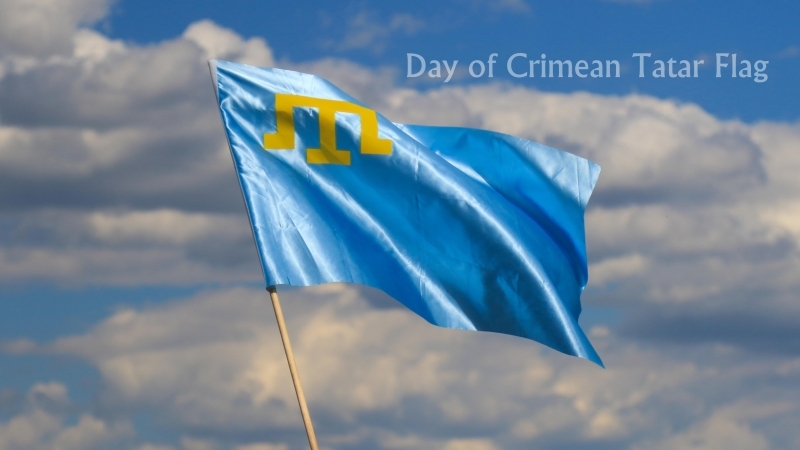 In Ukraine a number of events and activities are planned for the Day of the Crimean Tatar flag. Processions, rallies and motor rallies took place in Lviv, Odesa, Dnipro, Melitopol, Kyiv, and in Kherson region. Motor rally dedicated to the Day of the Crimean Tatar flag began at 16:00, in Kyiv, according to the QHA correspondent. A convoy of 30 cars started from the hotel "Cosmopolitan" (metro station "Shulyavska"). Cars were decorated with Crimean Tatar and Ukrainian flags. And in the annexed Crimea a marathon is held dedicated to the Day of the Crimean Tatar flag. The organizer of the action was Deputy Chairman of the Mejlis of the Crimean Tatar People Nariman Dzhelal, who together with the activists intends to go around the Crimea with a huge Crimean Tatar flag within two days.